trying to figure out how to wire a basic remote ceiling fan w light, I have. Coming out of the ceiling is 4 wires - Red (hot), Black (hot), White and Copper. If I leave the red wire capped and just connect everything else, the fan semi works (changing speeds causes the rest of the ceiling lights to flicker?) but that seems wrong. Also the dimmer part doesn't do anything. Not sure if it should. So basically just trying to figure out: 1) What is the red wire for? (dimming?) 2) Based on the configuration above, which wire goes where? Thanks in advance for the help. Trying a bunch of combinations but a bit clueless. You don't have that problem. At the light switch location, you have a built-in I don't know what that is. 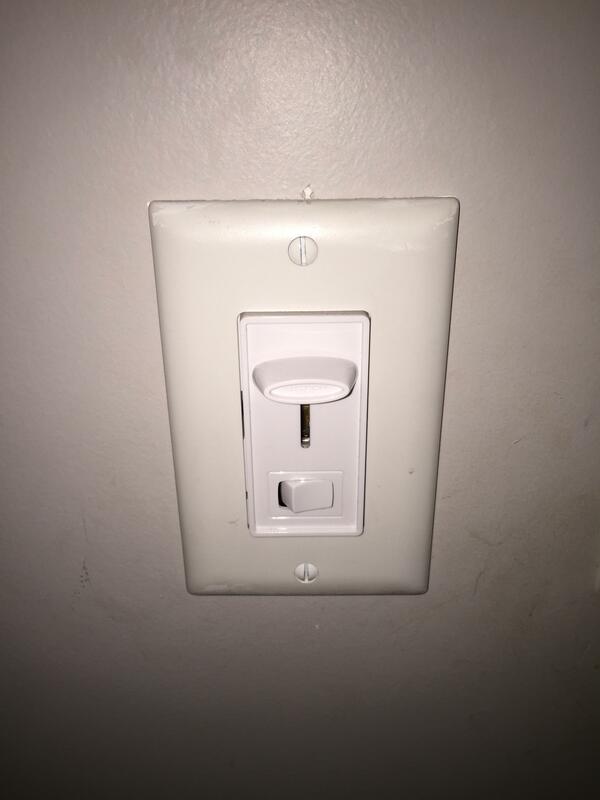 Is it a lamp-only dimmer with an on/off switch for the lamp? Is it a dimmer for the lamp and switch for the fan? A switch for the lamp and speed control for the fan? I cannot tell. What to do depends on what it is. It's possible you don't need this module at all. If you use it, you cannot stack two fan controls or dimmers. So you must decide which to use. The two wires of input to the control module must be undimmed. So take apart that thing on the wall and figure out what it does. If any wires bypass the thing, you can use that. If a wire is controlled by the switch and not the dimmer, you can use that. Otherwise that thing will have to go. Replace it with a switch or blanking plate. Possibly a shame, the thing may be a better fan controller than what you just bought. Not wireless of course, but wireless ones can be hokey. If it's more than just a dimmer, you might keep it in a box for if you can use it later. 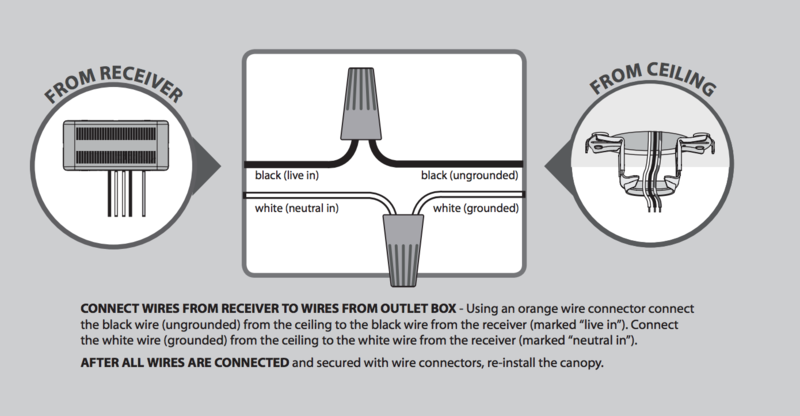 If you replace with a plain switch, switch the black wire up to the fan and cap off the red wire on both ends. If you replace with a blank plate, wire nut the black from supply to this black and again cap the red. I don't think you will be able to use a remote control unit in conjunction with a conventional wall switch type dimmer. They are just not going to be compatible. Use a standard switch on the wall or simple wire the hot together all the time. Then use the remote control for any and all control. You don't really need the red wire. Just cap it off. Then just send full time power to the ceiling box on the black. Not the answer you're looking for? Browse other questions tagged wiring ceiling-fan dimmer-switch or ask your own question. How do I determine wiring colors for ceiling fan?